SKU: SKUTSHIRT Category: Corporate Orders. 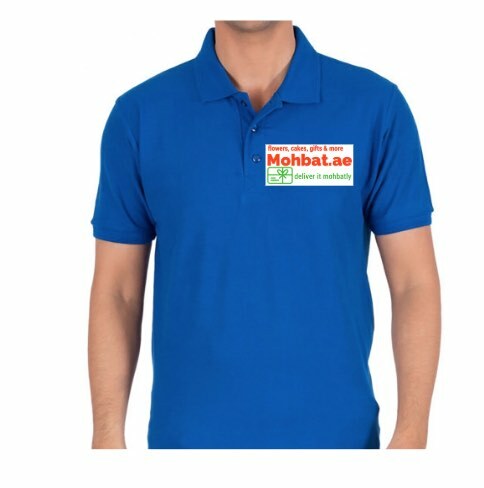 Tags: cheap t shirt printing dubai, cheap tshirt printing in dubai, Personalised T-Shirt Dubai, t shirt factory dubai, t shirt printing abu dhabi, t shirt printing ajman, t shirt printing deira city centre, t shirt printing dubai karama, T shirt printing in dubai, t shirt printing sharjah. T shirt printing in Dubai is one of our major corporate gift items with a high demand request. You can order customised t-shirts from our online website. We’ll make and finalize the design, recommend printing methods, appropriate materials, other details and terms. Bulk ordering needed to print shirts for the mentioned price. Minimum order will be a count of 30 t-shirts. Else the order will not be processed.